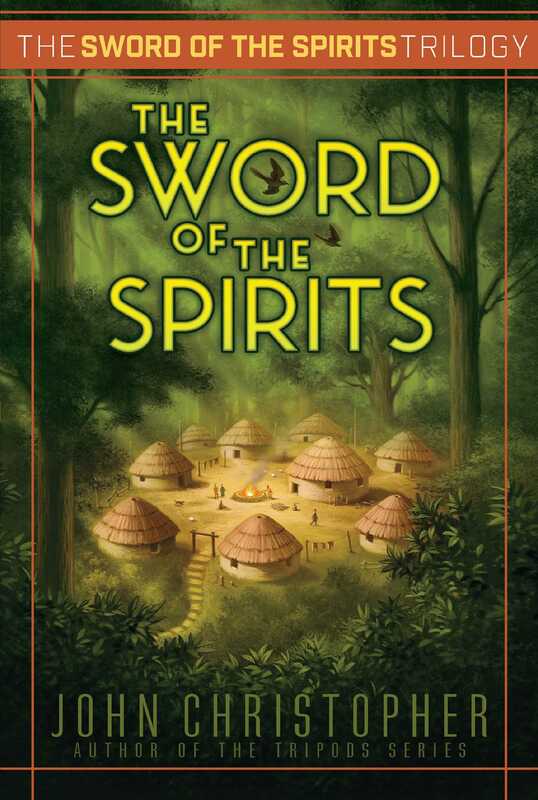 The fate of Luke—and the civilized world—is at stake in the tumultuous and explosive conclusion to the post-apocalyptic Sword of the Spirits trilogy from the author of The Tripods series. Following the death of his brother, Luke has now ascended to the throne of Winchester. And with the success of his first campaigns he is crowned “Prince of Three Cities,” finally fulfilling the prophecy made by the Spirits years before. Luke knows that the power of the Spirits is nothing more than a hoax to advance the Seers’ plans for a scientific revival. Their deception is the reason Luke has his crown. But as old rivalries and new alliances emerge and chaos sweeps through Winchester, can Luke stop death and disaster from plunging the civilized world into darkness? LESS THAN A WEEK AFTER I was acclaimed Prince of Winchester the pigeons brought a message of defiance from Petersfield. That city had been taken by my father, Prince Robert. On the advice of the Seers he had kept it, rather than exact ransom as was the custom. He had made one of the Petersfield Captains his lieutenant, but the blue and gold flag of Winchester flew from its citadel. When my father was killed by treachery and my brother Peter reigned, the men of Petersfield accepted him in turn. He was renowned as a warrior, and had killed the man who killed my father. He ruled both cities, and if there were any in Petersfield who objected they did not do so openly but only murmured in corners. Then my brother’s Lady died, accidentally as it appeared. But when I returned from my journey beyond the Burning Lands to the city of the Wilsh, I found myself accused of her murder. In fact Ezzard the Seer had killed her, by means of the forbidden ancient power called electricity. It was done for my benefit—she was carrying the child who would bar me from succession—but I knew nothing of it. Nevertheless my brother accused me, along with the Seer and his Acolytes. He ordered me to be burned alongside them in the palace yard. It was then that I challenged him and he accepted the challenge. We fought and his sword broke against mine—that which was forged for me by the Seers in Sanctuary. He flung himself against me, his weapon broken to a stub, and my sword took his life. So at last I became Prince, as the Spirits had prophesied years before at the Seance of the Crowns. The crowd which had vilified me and shouted for my death cheered me instead. But that was in Winchester. In Petersfield there were other thoughts. I had won some reputation in the north but the news was not yet widespread. They saw me as little more than a boy, a Prince by accident. They thought the time was ripe to regain their freedom. The message that came was brief and insulting. Michael, Prince of Petersfield, sent greetings to the Prince of Winchester. He would do him no hurt so long as he stayed behind his own walls. And he was sending a gift to help him while away the time there. He was also returning something which had been loaned by his predecessor, for which Petersfield had no further use. The gift was not long delayed. I was called to the North Gate next morning. During the night the guard had heard the sound of horsemen, but on being challenged they had turned away. They had left some things outside the gate. A wooden sword and shield such as boys use when they play at warriors, and one of those wooden horses that children put between their legs and run with, pretending they are horsemen. There was also the body of Captain Markham, my brother’s lieutenant. A crowd had gathered. They stood in silence. They were looking at the toys and the dead man. They were also looking at me. I saw Blaine and Harding, who had bowed the knee to my father and my brother but been their enemies nevertheless. They had pledged allegiance to me, too, but with the same lying tongues. They would pull me down if they could. Greene was there as well. He was the Captain who had commanded the expedition to the north. I spoke to him, but loud enough for others to hear. There was another loud cheer, echoing back from the city’s walls. I turned and left them. I talked to Edmund in the little parlor behind the Hall of Mirrors. I sat in my father’s old wooden chair, with Margry’s painting of my mother hanging on the wall opposite. The morning had been gray, but with mists that were rising now. At times the sun lanced through. It would be hot in the afternoon. Edmund was my friend, although my father had killed his and taken the crown. He had ridden with me on the expedition; and when my first sword broke in the fight with Peter it was he who had thrown me the Sword of the Spirits so that I could fight on. That sword lay now on a table by the window, unsheathed. Briefly the sun dazzled from the steel. Rudi was Master Armorer to the city. He was also a dwarf: armory was one of the trades the dwarfs kept, as an honor as well as a duty. Hans, his son, had traveled with us beyond the Burning Lands. I knew the customs as well as he did. Since the Disaster, when the earth had buckled and belched fire, strange things had happened. Beasts had been born misshapen, and men also. Apart from those of human stock there were dwarfs, who were a true breed, and polymufs, who might have any deformity or crookedness. Wherever polybeasts were found they were slaughtered, and buried or burned. In the case of children the Seers examined them and made pronouncement, calling them either true man or dwarf or polymuf. Their lives must then be lived in accordance with that decree. Polymufs were servants always, and could hold no property. They were pitied at best, more usually despised. Dwarfs, on the other hand, worked as craftsmen and were respected as such. They had goods, even land, and polymufs to serve them. The Master Armorer sat at the Prince’s table in ceremonial banquets. All this was according to custom; and custom held also that only a true man could be a warrior. He meant: wait until your position is more secure. I had won my title lawfully and the crowd had cheered me for it. But the crowd was fickle, and not all my Captains were to be trusted. And I was young and inexperienced. I could not afford to make mistakes which in an older man would have been forgiven or overlooked. I knew all this and understood that he spoke as he did for my good. I looked at him with fondness. He was taller than I and far more handsome; but the long face was frowning, the blue eyes worried. I put my arm on his shoulder. Later that day I saw the new Seer, the one who had been sent to replace Ezzard. His name was Grimm, but it belied him. He was a large and portly man, amply filling his Seer’s black coat. He was taciturn in public, as a Seer must be; when he spoke his voice was not harsh like Ezzard’s but calm and easy. I did not see him at the Seer’s House but at the palace. By having Ezzard executed I had freed myself of suspicion of complicity in his crime, and the High Seers had confirmed this when they condemned him as one driven mad by false Spirits. But they had agreed that it would be wise for me to seem to stay aloof from the new Seer, at least for the time being. He might come to the palace but I would not go to him, except to a Seance in the way of duty and observance. I was aware yet again of the division in my nature and my mind. I knew and understood what Grimm meant. To him and the other Seers such things as honor and glory were of no importance in themselves: they only mattered insofar as they served that larger plan to which their lives were devoted. The plan was for the renewal of that part of human knowledge which had been abandoned since the Disaster. Those who survived the heaving and twisting of the earth had blamed Science for their miseries. The blame was wrongly placed because the cataclysm had been one of nature, not of man, but the belief was firmly held. In the days after the cities crumbled and crashed, people turned against machines and tore to pieces any who made or used them. They turned also to a worship of Spirits. These were said to be of two kinds: the Spirits of the dead, and those other Spirits who had never lived in the flesh but who invisibly plagued or benefited men’s lives, and served the Great Spirit who ruled and had made everything. In Seances the Spirits talked to the worshipers in darkened rooms, and the Seers presented and interpreted them. So it was believed. In fact the Seers created the voices, and even the appearances of Spirits, by trickery and the use of those very machines which they claimed to condemn. Their purpose was to gain control of all the civilized lands. When their control was complete they thought they could wean men from superstition and back to science. But in the civilized lands cities warred against each other, under many different Princes. The first aim of the Seers must be to unite the cities under one ruler. This was the task I had been chosen to undertake. Because of it my father had been made ruler, and after his death I had been smuggled from the city to the safety of Sanctuary where the High Seers lived. Because of it, though without my knowledge or even the knowledge of the High Seers, Ezzard had murdered my brother’s wife. Thus the Seers had gained their first objective. I was Prince of Winchester, a city strong in itself and well placed to conquer others. All this I knew and had accepted and was pledged to serve. But I was moved by other things as well. I had been reared as a warrior, son of a man who had risen from the ranks and gained nobility on the field of battle. Honor was no empty term to me; nor did it weary me. It was something which had touched my life as long as I could remember. It might mean nothing to the Seers, who spent so much time in trickery and deceit—albeit to a worthy end. But I knew I could not live their way. We rode out next morning into a white mist. One could see no farther than a few yards in any direction. Our progress had to be slow, with our outriders keeping close. We followed the river road to the west, skirting the Downs. It was the longer way, but easier. Weather had changed greatly since the Disaster. Our seasons were colder than they had been in ancient times, our skies cloudier. This was partly due to the ash flung into the sky from the Burning Lands. There was much rain and periods of settled weather were rare. And when the sun might otherwise have shone, it was as likely that mists would rise from the earth and block its heat. This happened now. The previous day the sun had burned a path through for a few hours but today the mists were too strong for it. We saw no more than a pale disk at midday. By the time we made camp in the evening the mists were thicker than ever, clammily cold and gray. Making camp was not easy. Men stumbled over each other and cursed each other’s carelessness. And the baggage train, having been hastily put together, lacked certain things. We were reckoning to get our meat from Petersfield farms but we had found no cattle yet. Rations were short: dried beef and bread only. This and the clinging chill of the mist discouraged the men. I made a round of the camp and found them taciturn and sullen. I tried to cheer them but with poor success. I was not skilled in wooing my fellows and never had been. Their sullenness kindled a similar feeling in my own mind. I tried to master it, and smile and chaff them. But the words and smiles seemed false even to me. His voice was cold and sharp. He himself was a cold, sharp-featured man, slight of body but strong and wiry. He kept good order within his troop. The man was brought to us at once. He was a man called Morgan. His frame was as large as Harding’s was slight. He stood well above six feet tall. There would have been risk of his being called a polymuf giant except that his body was well proportioned. He stood with the Sergeant at his side, looking down on us both. Morgan stared with silent hatred, but not at Harding. His eyes were on me. I thought of asking for clemency but knew it would only make matters worse. Harding’s man had spoken back and it was Harding’s right to have him punished. He was stripped above the waist and made to kneel in front of us. Another soldier stood over him and lashed him. I do not know if the strokes were well laid on, as Harding had commanded, because I did not look at his naked back. I watched his face, staring down at the earth. He took his punishment impassively but on the last few strokes could not help wincing. I looked at Morgan’s back when they gave him his shirt again. The lash had not broken the skin but there were dark red weals in neat rows. He did not put the shirt on—he would need ointment from the surgeon first—but saluted and walked away. His eyes looked into mine again before he was lost in the mist. It was Harding who had ordered the lashing, but I who had gained an enemy. Harding came well out of this, I saw. In maintaining his own authority he had filched from mine. They would see me as a boy, Harding as my protector who might, at the right moment, supplant a weakling. The mist was a little less thick next day and we made more progress. We were in Petersfield lands and for that reason must go warily. Grimm had told me before we set out that the Petersfield army had not left the city—he had the news from their Seer by radio—but they might have done so since. I told Greene to post a double line of scouts. We came within sight of the city in late afternoon. We showed ourselves but did not approach the walls closely. We retreated into the mist, which was thickening again, and made camp on high ground to the north. The men were in better heart. We had found cattle which we killed and roasted. We had also found a country alehouse, and the men washed their victuals down with Petersfield ale. They claimed it was poor thin stuff compared with our own, but I warned Greene all the same that the Sergeants must make sure they did not drink too freely. I did not want an army with sore heads if the Petersfield warriors came out next day. They did not come out, though. The weather had changed. The mist had gone and a fresh wind blew from the north. The sky was cloudy but visibility was good. We made a circuit of their walls. A few arrows hissed through the air at us, falling short. Nothing else happened. I sent a herald to them in the afternoon. This was according to custom where an army was not already in the field. My message was to Captain Michael Smith. The Prince of Winchester sent him greeting. If he surrendered himself and opened the gates of the city to its rightful Prince, he would have fair trial by the Captains for his murder of the Prince’s lieutenant. If not, the swords of Winchester were ready to cut him down, along with any other rebels rash enough to follow him. The herald was that Captain Barnes who had arrested me at my brother’s command on my return from beyond the Burning Lands. He was a tall, thin, gray-haired man, sparing of speech but full of loyalty. He had served my brother and now served me. I could trust him as I could not trust all my Captains. I could have taken him off and got the message in private; but I would not do that. It was plainly an insult. I would receive it publicly. My Captains watched me, from Wilson the eldest to Edmund, little older than myself. Blaine watched from his fat face and Harding from his meager one. Greene put up a hand to twirl his mustache. Greene stared, too staggered for speech. It was Blaine who spoke. Wheat meant bread for the long hard winter. It stood for life itself. No one rode or fought over growing wheat, and if a campaign ever lasted through summer, harvesting put an end to it. If Greene had hesitated further, the others might have got together and stopped me. As it was they watched in grim silence. There had been no rain for days and the wind had dried the wheat of the mist’s dampness. The stalks caught and smoke rolled down toward the city. It was after we had put torches to the second field that they came out. I gave them no chance to assemble in battle array but rode down on them in the shadow of their own walls. We lost some men from arrows but once we had closed, the bowmen could not distinguish friend from foe. I was happy now, feeling the lifting pulse of battle. Hans rode near me, almost of human stature in the saddle, his voice deeply shouting. I saw fat Blaine rise in his stirrups and deal a Petersfield man a blow that almost severed head from body. For all his fatness he was immensely strong. A horseman, a Captain by his blazon, slashed at me. I parried with my sword which, sliding down from his, skinned his arm. I toppled a trooper from his horse with a thrust under the shoulder. Then they were scattering from us and the battle, if one could call it such, was over. They rode for their gates but we rode with them. We secured the North Gate and after that they were a beaten rabble. Michael Smith had been a florid flashy man, a good talker who was proud of his voice and given to merry songs at banquets. He sang well even when drunk. But he was not singing now, or talking. His body shivered as Greene hung round his neck the wooden toys he had sent to me in mockery. I felt sick myself. I had no stomach for watching a man die in cold blood. But I also was being watched, by my own army and the people of Petersfield. I had been driven to burning the wheatfields, and the trick had worked. It was not so bad to break the rules as long as one won. And ruthlessness followed on from ruthlessness. He had rebelled against his Prince and slain his Prince’s lieutenant. He had earned his death. I only wished I did not have to see it. The day was ending with no sign of the sun. The wind had a cold edge and I could have shivered too, but schooled myself against it. He looked at me. I raised my hand and dropped it. Strong arms pulled on the rope that hung from the pulley of the gibbet, and Michael Smith gave a single gasp as his body was lifted up. His legs twitched as he hung there. They twitched for a long time before they were still.